Get to know Mariner Company Founder, Marketing Coach Carol Naff . 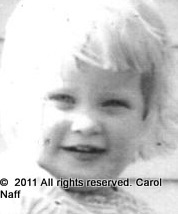 No, you probably didn’t know Carol when she was a child. And I won’t bore you with details of her entire life. These are just a few highlights of her business experience. In 2000, Carol Naff started the Mariner Company with the mission of helping small business owners reach new plateaus by bringing in more clients while reducing the long hours and burnout associated with most business owners. Call (303) 337-4394 to reach her office. And she has the experience, know-how, client success stories, and peer accolades to back it up. Carol was named a Rock Star in her DTC Professional Women’s group. She also recently completed certification in Constant Contact’s Experts Program, the power of email marketing. Carol brings an extensive background of more than 14 years in coaching/consulting, 15 years of marketing and television experience, and extensive coach training, a B.A., and a certificate in marketing from CU to benefit her clients. Carol continues to add to the more than 200 hours in training she received at the Schools of Coachville: Graduate, Small Business, Corporate, Personal Development, and Marketing and Sales. She is the proud author of several articles including, Toot Your Horn Without Blowing It, Write It Down or Kiss It Goodbye, and a monthly e-newsletter. In addition, she wrote the NAACP Financial Empowerment Guide for the National Endowment for Financial Education. She has provided workshops for the Denver Metro Chamber of Commerce, BPW (Business and Professional Women’s Network), Cherry Creek Chamber of Commerce, Colorado WorkForce Centers, Creative Connections, American Business Women’s Association, National Television Academy, Heartland Chapter, University of Denver, Mass Communications Department, and University of Colorado, Law School. Of course, Carol isn’t one to rest on her laurels, as she continues to work tirelessly as an expert in marketing through individual, group coaching and workshop presentations. She applies her innovative approach to help small business owners like you. When you can identify your best, custom, low-cost marketing strategies, you can become unstoppable. Carol helps you do that and more. She is a coach and speaker extraordinaire with a practical, down-to-earth style that people relate to and identify with, providing not only the creative ideas but also the tools, systems, and a go-getter, action-taking attitude that’s contagious. Her clients consistently report dramatic income growth using Carol’s wisdom and real-world strategies. And you can be next.